You know I can’t live without you. You are the first thing I pick up every morning and the last one I keep aside every night. Practically, my day begins and ends with you! I still remember when I first got to know that I will have to become friends with you, I wasn’t too happy with myself. I thought you are an added responsibility and a burden on my nose. I hated the fact that I will have to be super cautious and carry you wherever I go. It took me very long to come to terms with your existence and accept you in my life. But gradually I realized that your importance in my life can’t be denied. I find myself fully dependent upon you. Ask me to move a single step without your help, and I will stumble! If you aren’t around, there is no shine in my world. The sky looks dull and the words in the book appear misty. My entire world looks unpleasant. You form an important part of my identity, so much so that my kids recognize me through you. The first thing they ask me every morning is to meet Mr Spectacles. They love to see their own reflection in you. They enjoy playing and fidgeting with your arms. Your presence certainly adds convenience to my world. And sometimes I feel what if you could have some additional magical powers too. My life would become even more easy. What if you have an in-built magnifying feature! I could then easily see every small/big thing my kids throw behind the almirah or under the bed. What if you have a blindfold attached! I could easily shut my world in the most chaotic spaces and go in my dreamland even with lights on. What if you have some super-visionary powers! I could jump in future and see things that can make my present better. What if you have special see-through feature ! I could then look deeper into people, read their minds and see their true self. If only I had you with all these powers! My life surely would have been different and adventurous too. Anyway, I still love you for who you are and what you mean to me. Yes, in spite of all the curves and dents that you have caused on my nose, I still love you and adorn you with pride. I know our relation is never gonna die. We may not be together always. I may have to sometimes resort to your counterpart ‘contact lenses’, especially when I go swimming. But I have to tell you that you are the most precious thing in my world and I can’t imagine my existence without you. So thank you, Mr Spectacles for being my second eyes and adding so much clarity to my world. Thank you for making my life simpler and super comfortable with your presence. 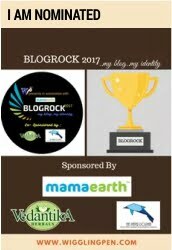 This post is a part of the Letters of Love Blogathon aka ‘LOL-a-thon’ organised by ‘The Momsteins’. Stay around to read some wonderful letters by 25 awesome bloggers. This letter is based on the second prompt of the Blogathon which is -‘ A Letter To An Inanimate Object’. I would like to thank Prisha for introducing me in this chain. Do read her wonderful post on her blog Mummasaurus. 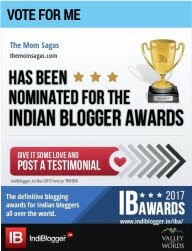 I would like to introduce my fellow blogger Archana from TheIndianParenting. Head on to her page to read her take on the similar prompt. Do you feel the same about your spectacles? Share your views in the comments below. If you like this post, then show some love and pin the post on Pinterest. Also read another letter which is a part of this blogathon- A Letter To My Twins- Always Cherish Your Bond. This made me laugh first thing on a Monday morning. Thanks!!! It’s a nice thing that glasses are in style though! I wasn’t too excited to get mine either! This was a funny post. I’ve always wanted glasses, but I don’t really need them… I only need my glasses to drive in the dark, I have a little bit of night blindness. I am in love with them when I drive. Thanks for the post. Oh my goodness! Yes, I love mine too! LOL this really made me laugh. But really it is good to express gratitude for even the simple things in life. Thanks for sharing! Such a fun read it was. I don’t wear specs but can understand how the relationship feels like since my mom and hubby wear one. And you have some great expectations from your specs. Loves that. Ha ha! My sis had specs and she felt just like you 🙂 I am sharing this with her. Being wearing glasses for over two decades I agree that we ought to show them some gratitude. It surly has been a good invention!